There are 6 categories or things to consider prior to your packing crew arriving. 1. Jewelry, coins, stamps, documents, watches, currency, precious stones or metals. Perishable Items Have a plan for your refrigerated / frozen food items. The moving vans are not equipped to keep these items cold or frozen. Plan to eat as much as you can or transport these perishable items as well. Plants can fall into this category as there is no guarantee that they will survive the journey in the back of the truck. If you are moving out of the country, it is recommended NOT to transport plants as many plants are NOT allowed over the border. Items that customs restricts or will require payments and permits The most common household item in this category is alcohol. It is recommended that you do not ship alcohol over the border. Not only does it fall under the category of dangerous good (potentially flammable), customs will want you to pay duties and taxes. Your corporate policy probably will NOT cover the costs of shipping alcohol with your household goods. If you wish to do so, there will be upfront costs at the border which is difficult to assess in advance as well as third party broker fees. Usually the cost exceeds the value of the alcohol being shipped. Items you and your family will need while your goods are in transit Don’t forget to set aside the items you will need while your goods are in transit. Check with your coordinator as to how long it may take for your goods to be delivered and plan for the worst case. For example, sometimes clients think that a move of 300 miles will mean that the furniture will arrive the next day. This is not necessarily so. It could take a week or more to receive your goods. Even though your company may put you in a hotel / temporary housing, it can be annoying if you only packed enough clothes for 3 days when you should have prepared for a week. If not everything is moving, consolidate the items Sometimes, not everything is moving. Try to have separated the items Not being moved from the items that are to be moved prior to the pack crew arriving. This will save time and potential frustration on packing day. 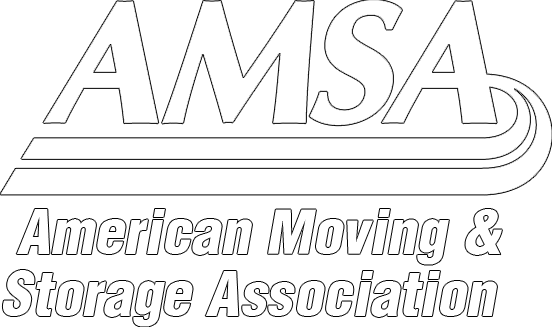 Again, this list is just to assist you with what you should do to prepare for the packers and movers arriving at your home. If you have any questions, please contact your coordinator for more information or clarification. Explosives: ammunition, flares, fireworks, blasting caps, etc. Flammables: matches, lighter fluid, barbecue starter, charcoal, gas, paint, paint thinners, glues, resins, kerosene, naphtha, alcohol lamp oil or oily rags. Gases: any gas under pressure, propane tanks, oxygen, helium, aerosol cans and butane lighters. Oxidizers / Corrosives / Poison: bleach, disinfectants, pool chemicals, hair bleach, chlorine in any form, corrosive cleaners, acids, batteries, preservatives and photographic chemicals. Firearms: We are not permitted to pack or transport revolvers or restricted weapons of any kind unless you have written permission from the R.C.M.P. (Royal Canadian Mounted Police) with all proper permits and certificates. All permissible firearms must be unloaded, with the firing pin dismantled by you prior to being handled by moving personnel.